This summer has been a blockbuster for Marvel, having released two enormous theatrical releases in Thor and Captain America. All this in anticipation for the expected 2012 release of The Avengers – which in my opinion will be the mother of all superhero movies. But while that's still a bit of time away, much of the hype this year was absolutely for the Captain America movie. Undoubtedly this is due to the fact that the good ol' Cap is one of Marvel's biggest franchise characters. And just like any other live action superhero movie that came before it, a movie based video game was made to support the launch of the film. Now, anyone familiar with the movie tie-in video game genre can attest to how horrible these games typically are. That being said, Captain America: Super Soldier is one of the few exceptions as it delivers a gaming experience that is fairly entertaining. What makes this game worth its price tag ($50 CAN) is the intuitive control scheme and combat mechanics that closely resembles that of Batman: Arkham Asylum – a game that redefined and set the bar for what an epic superhero game should be. The fighting system in Captain America: Super Soldier is fluid and satisfying in its execution. Punches, kicks and acrobatic moves can all be strung neatly together for hard hitting and effective combinations. This is especially rewarding when you face off against numerous opponents at once and employ multiple combo moves to take them out. On the defensive side of things, you have the ability to pull off various counter moves like “weaponizing” an enemy (basically using their own weapon against them) and deflecting a bullet with your shield directly back at your attacker. Additionally there are a number of upgraded special moves that are eventually added to your arsenal and really makes you feel like you are the super soldier Cap himself. More importantly, Captain America's trusty shield is gets its own special treatment in the moves department with abilities such as shield tossing five enemies at once, locked-in targeting shield throw and a powerful shield charge to put a real hurting on those Hydra scum. While controls and fighting mechanics are the highlights of the game, the mediocre visuals and level designs prevent this game from being extraordinary. The character models are quite well done, but everything else beyond that looks and feels like game graphics from about three years ago. Generally environments and textures lack sharpness and effects such as explosions exhibit a certain sloppy execution. In terms of level design, for the most part the game felt uninspired and predictable. There is an attempt to be open world in some capacity with an underground tunnel system that allows you free access to all different parts of the Hydra complex, but at the end of the day it becomes evident that it's really linear in design with very limited freedom. The one redeeming quality of the level designs are the various collectable items scattered all throughout the game. Collecting these different items unlocks upgrades, concept art, alternate uniforms and other goodies that make it hard to resist a full exploration of each level – yes it’s addictive. One other item to note is the challenge mode. Once again, this concept is very reminiscent of the challenge mode in Batman: Arkham Asylum. The difference here is that they're all quite easy to complete and achieve gold ranking. Since there are only 10 challenges in total, you do go through them quickly and as a result it doesn't provide too much in terms of replay value. 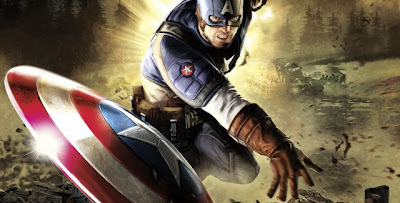 Captain America: Super Soldier offers up more pros than it does cons and is a worthwhile purchase especially if you are a comic fan, a Captain America fan or someone who enjoys a decent 3rd person action game. It's just plain fun to play and definitely is one of the better superhero movie based games to date.